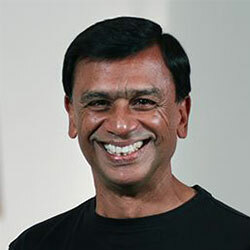 Dr. N. Mohan Reddy is Albert J. Weatherhead III Professor of Management at the Weatherhead School of Management, Case Western Reserve University. His interests follow two dimensions: The first is focused on how non-market institutions (professional societies, trade associations) influence the adoption and diffusion of new technologies. A second area of interest concerns the dynamics of how public goods (social goods) are created through private (corporate) interests. Dean Reddy serves on the Board of Directors for Brush Engineered Materials, Keithley Instruments, Smith Industries, Dealer Tire, Jumpstart, and MAGNET. To read more about Dr. Reddy, visit his personal site.